Most of us have heard of Nanjing because of the Nanjing massacre, and Iris Chang’s heroic work and tragic death. 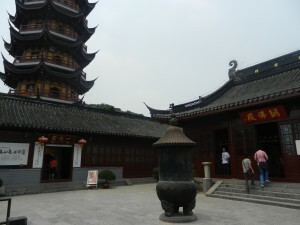 But Nanjing has a much older history, which goes back to antiquity. 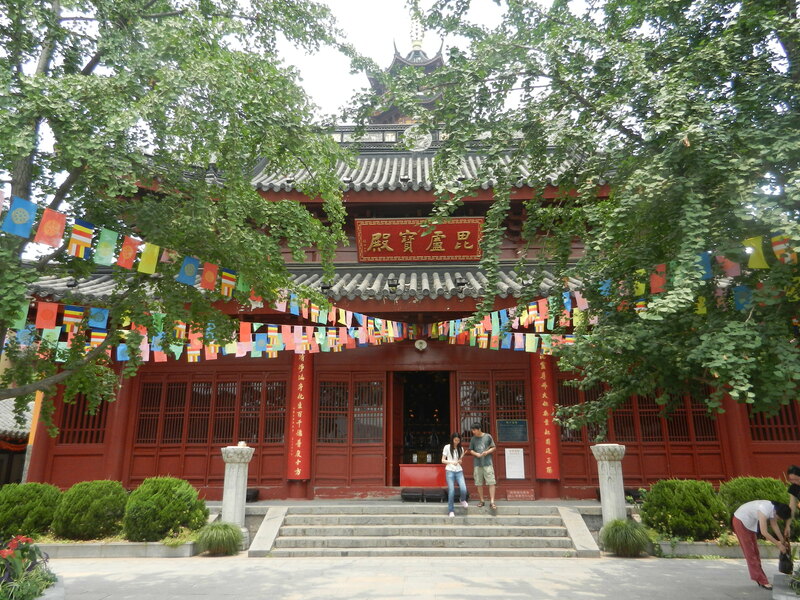 It had a lot of influence on Chinese culture, so it was high on my list of places to explore on this last trip. 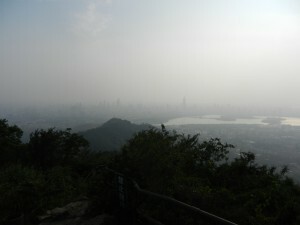 Nanjing is in the eastern part of the Yangtze basin–near modern Shanghai. So it’s in the lands that Chinese were moving into in the Chinese migrations to the south. It had already been established before the Qin and Han Dynasties conquered the area, but it now grew more quickly and became one of Asia’s largest trading hubs. The early 6th century enjoyed peace, and merchants in the growing cities around the Yangtze made a bundle trading with each other and the rest of Asia. The economy in the region became more based on money, and merchants competed with the older aristocratic families for honor. They spent lavishly and commissioned lots of art. But these were no hicks buying pink Cadillacs. 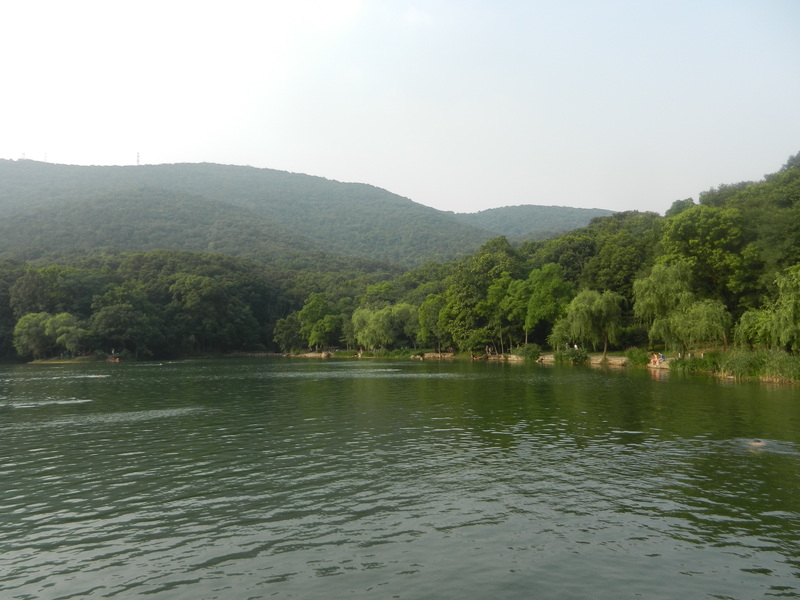 Nanjing’s natural environment provided high standards of refined beauty. Purple Mountain rises just outside of town. It’s often enveloped in mists–as it was when I shot the above photo. Small lakes also grace it. 1. It’s human-scale. 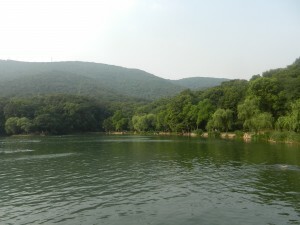 Its mists, lakes and rolling slopes blend with the city and reinforce Chinese artistic traditions that integrate nature, worldly life and spirit. 2. A hike to its summit is an easy day-trip from the center of town. 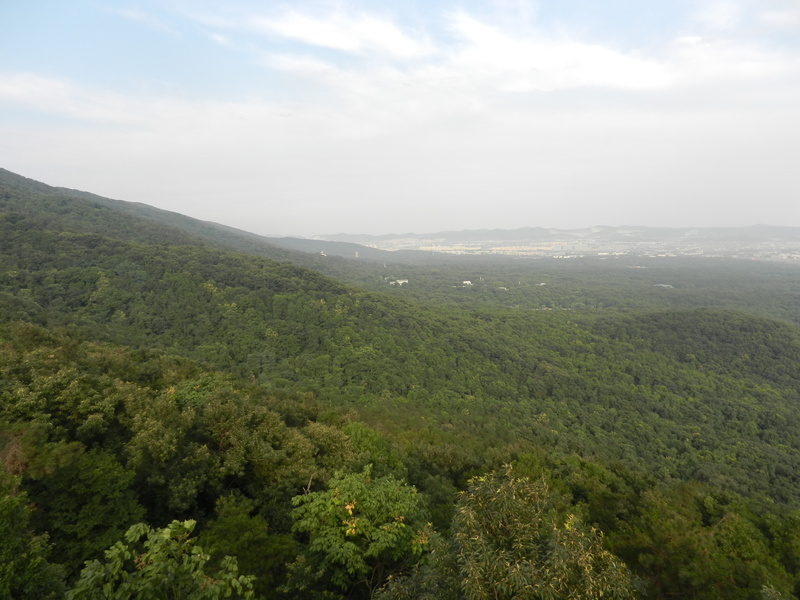 Buddhist and Daoist temples were built on its slopes, and people could go to them for retreats. 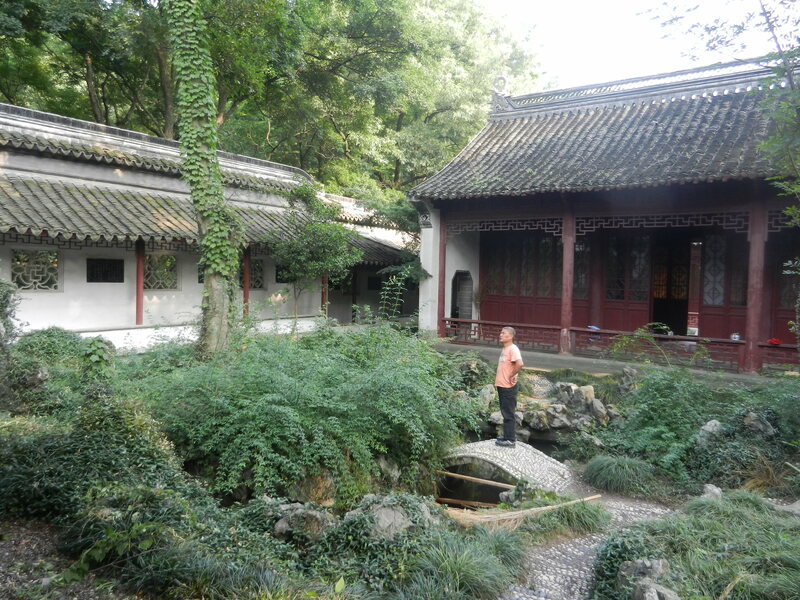 So people in Nanjing and other cities in the lower Yangtse developed ways to express views of reality that treat nature, culture, world and spirit within an integrated whole. 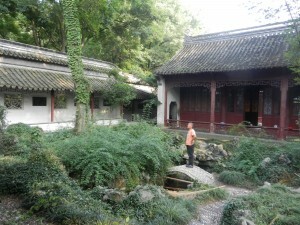 This view of reality was already old then–very old, as you can read in ancient Chinese culture. 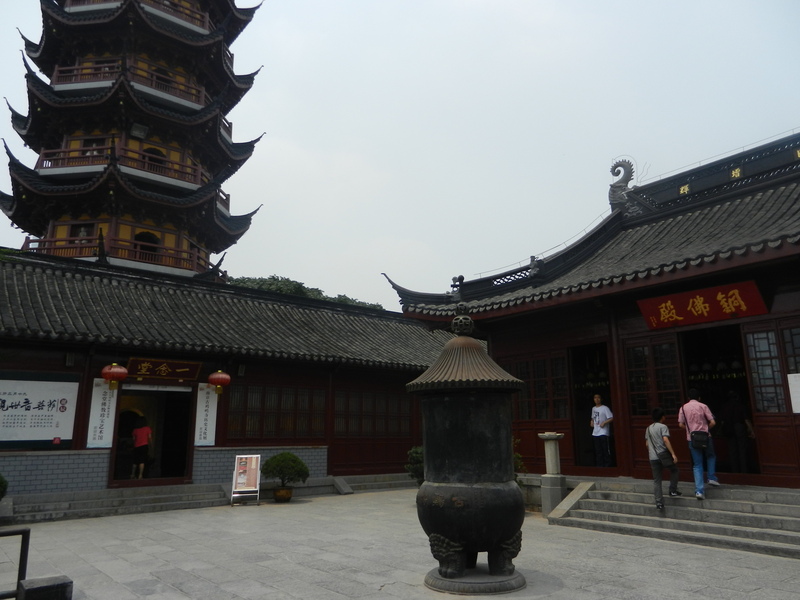 But new ways of expressing it emerged as Nanjing thrived, and it added to the richness of Chinese culture. In the mid 6th century, rebels toppled the Liang Dynasty. It had been riding the crest of the lower Yangtze’s prosperity, but the wealth was unevenly distributed. China’s political center shifted to the west under the following Sui and Tang dynasties–to Xi’an and Luoyang. But art from Nanjing set standards for integrating all domains into a harmonious whole before the great Tang and Song artists took their first breaths. A lot of people go to Nanjing for business today. If you do, spend as much time on Purple Mountain’s slopes as you can, and savor the blends of land, sky and water. 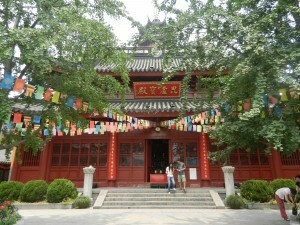 Welcome to China’s heritage.